I’m having a hard time believing that tomorrow is September 1st…where has the time gone? With summer ending and school starting…I decided it’s time to start a new challenge. 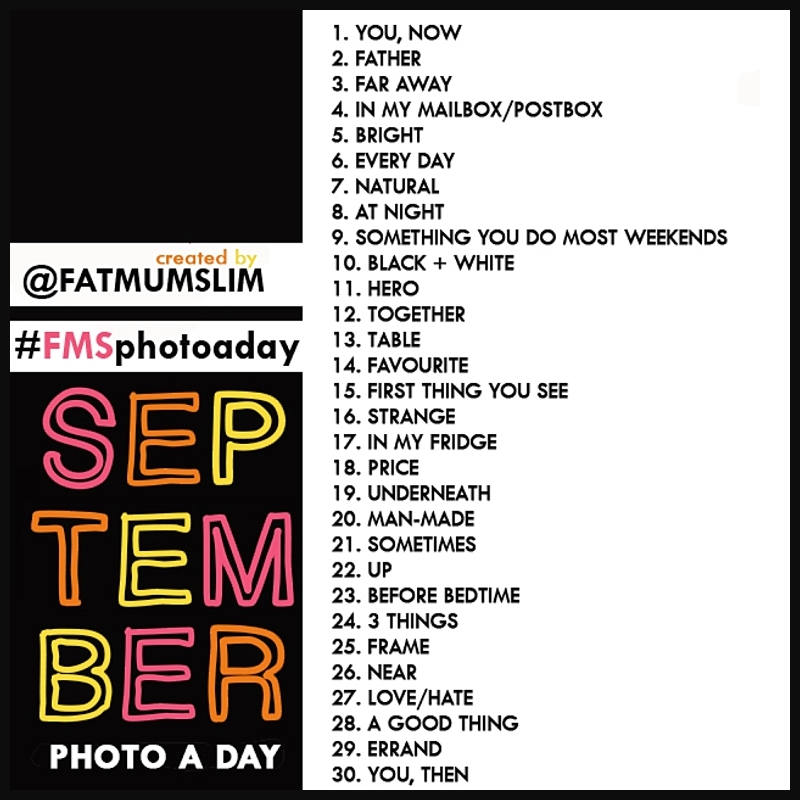 So I’m going to do Fat Mum Slim’s Photo-A-Day-Challenge! Here’s the list if you’d like to participate in the September Photo a Day Challenge (click the link for more info)… but be sure to let me know so I can follow your shots this month! 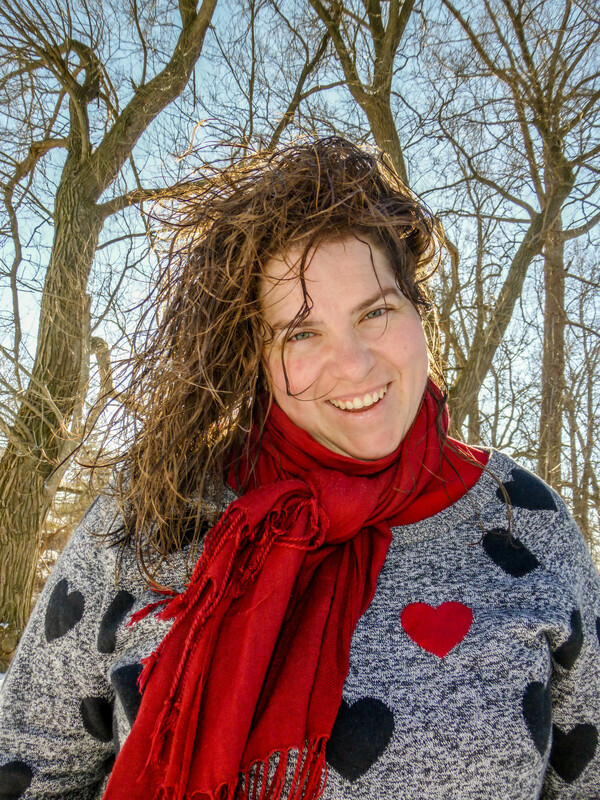 I’ve participated in a few of these monthly photo-challenges in the past and am excited to see what will happen this month! This time around I’m going to be only taking my photos with my iPhone and posting them via Instagram & twitter (@sarahontheroad). At the end of the month I’ll make a wrap up post of all my photos and share them here! Enjoy the last day of August… Here’s to an awesome September! 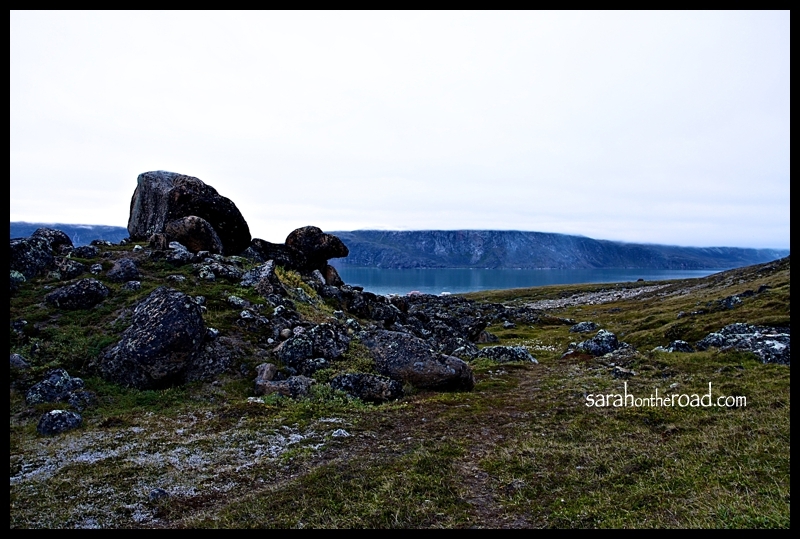 This entry was posted in Photo-a-DAY-Challenge on August 31, 2012 by Sarah on the Road. 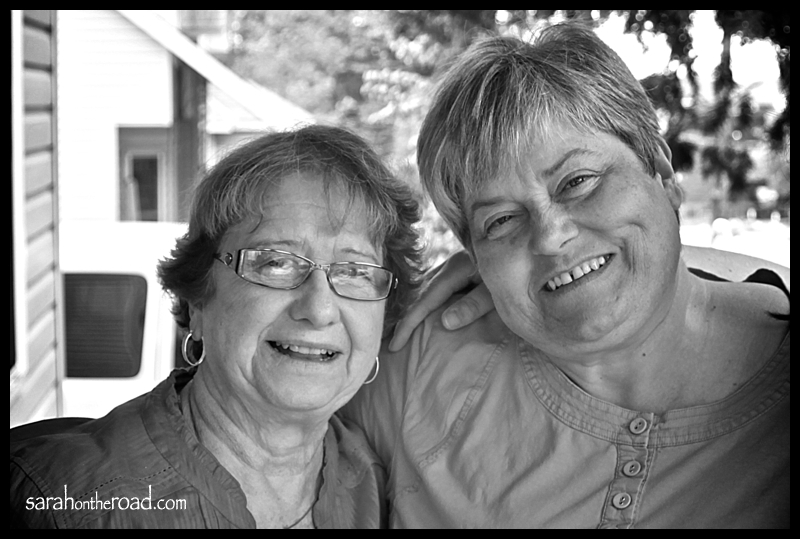 This entry was posted in Wordless Wednesday on August 29, 2012 by Sarah on the Road. It’s that time of the year the berries are ready to be picked! 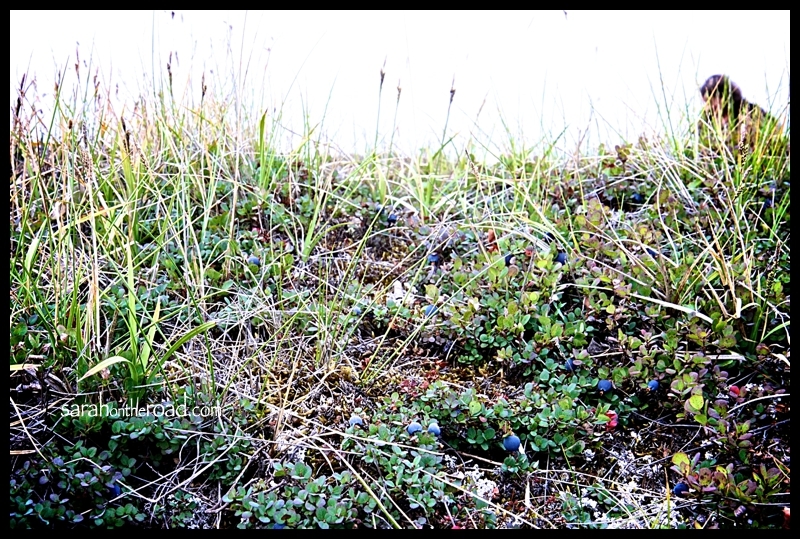 The blueberry bushes are really low to the ground. There are two different kinds of berries…tonight I mainly picked blueberries. They are smaller than a ‘southern’ blueberry–but taste so good! Last night after work…I went up Duval with two friends. It was great to get outside after being inside all day. All day today there was heavy fog that hung above town and the mountains. 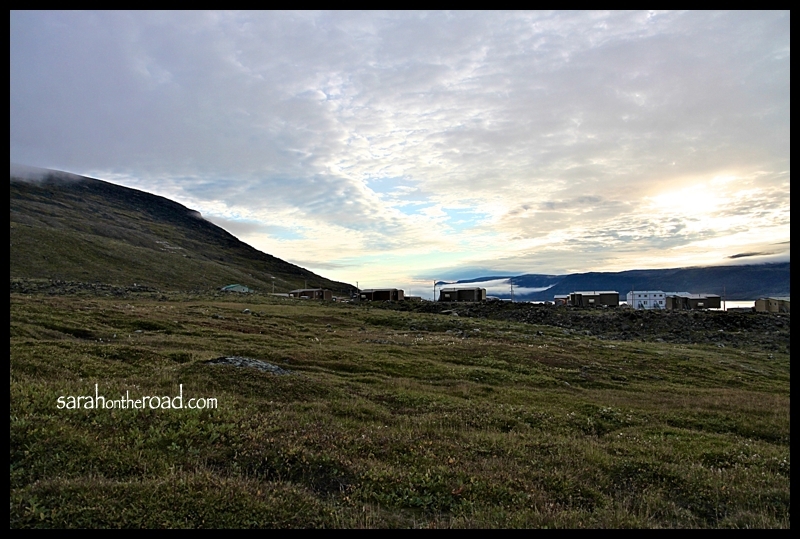 (Both flights were cancelled…) tonight it lifted over town, but still hung up in the mountains and across the fjord. 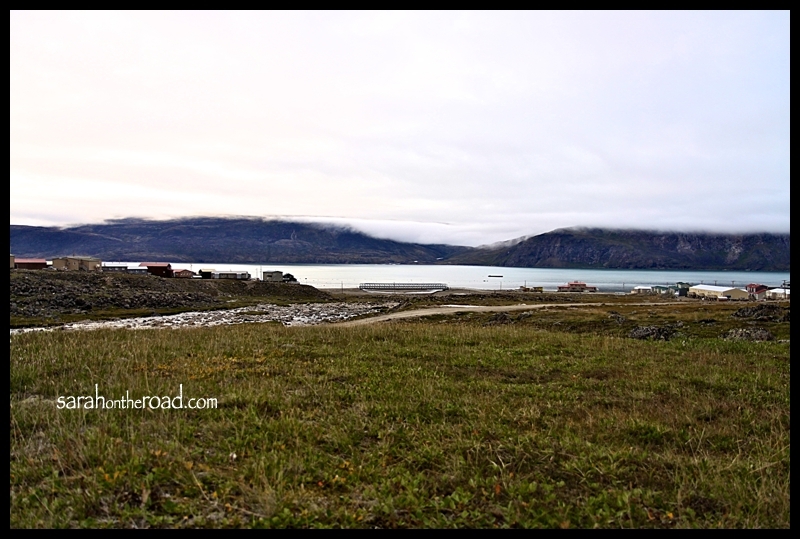 Looking at town from the other side of the river… and out towards the fjord…the fog was still lingering! 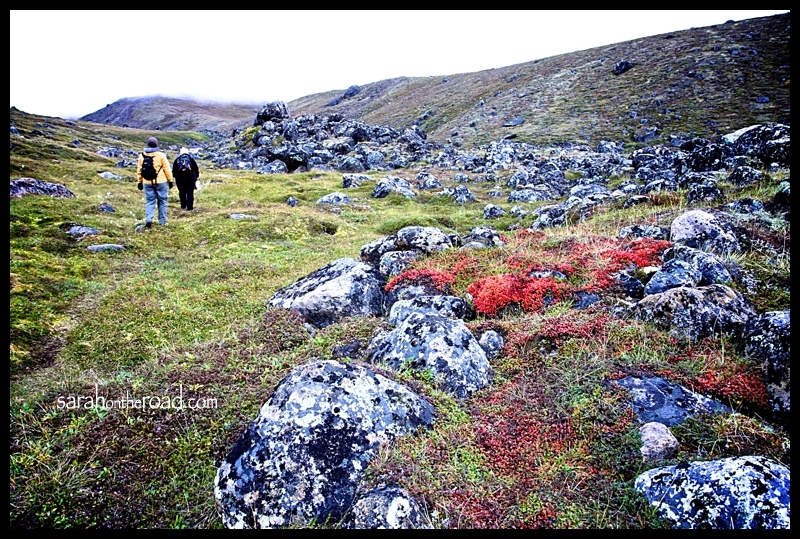 We walked up to the waterfall… and I spotted the first patch of tundra that has changed colour! This is one of my favourite times of the year up here. 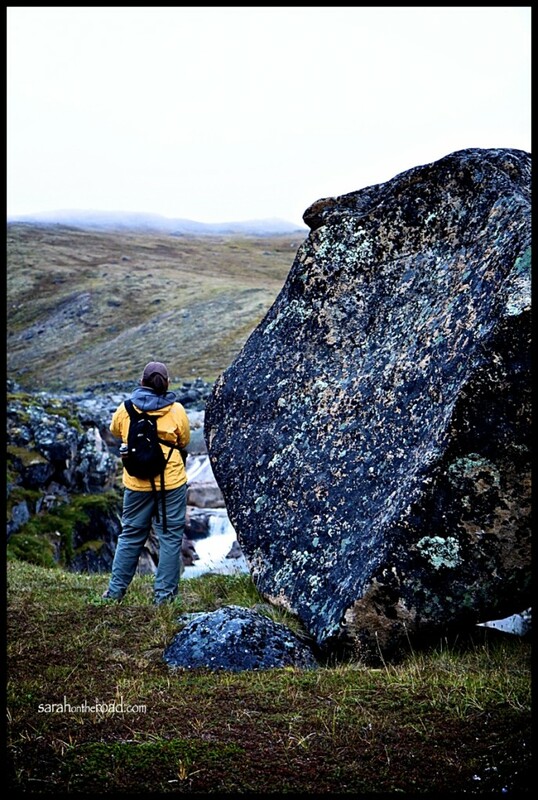 It’s hard to tell how big rocks are unless you provide a ‘point’ of reference… my friend was able to do that for me! It was a fun night… I can’t wait to go get more berries! I did get about 2 1/2cups of blueberries… I’ll get more next time! I had so much fun talking, walking and picking berries tonight with my two friends… we will have to go picking again! 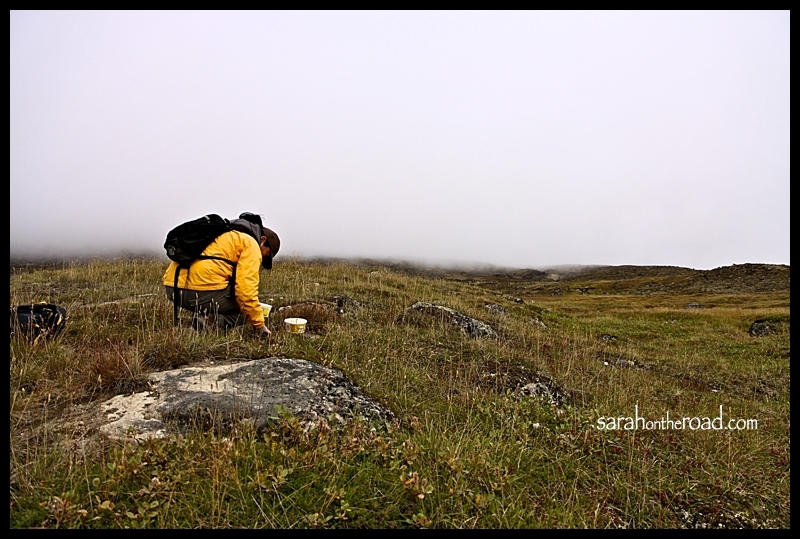 This entry was posted in Life in Nunavut, Walk in the 'hood and tagged Pangnirtung on August 23, 2012 by Sarah on the Road. 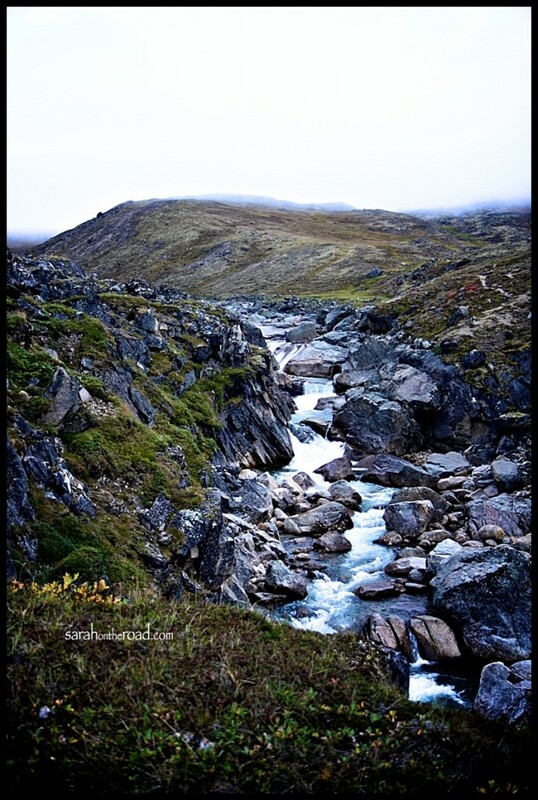 This entry was posted in Wordless Wednesday on August 22, 2012 by Sarah on the Road. 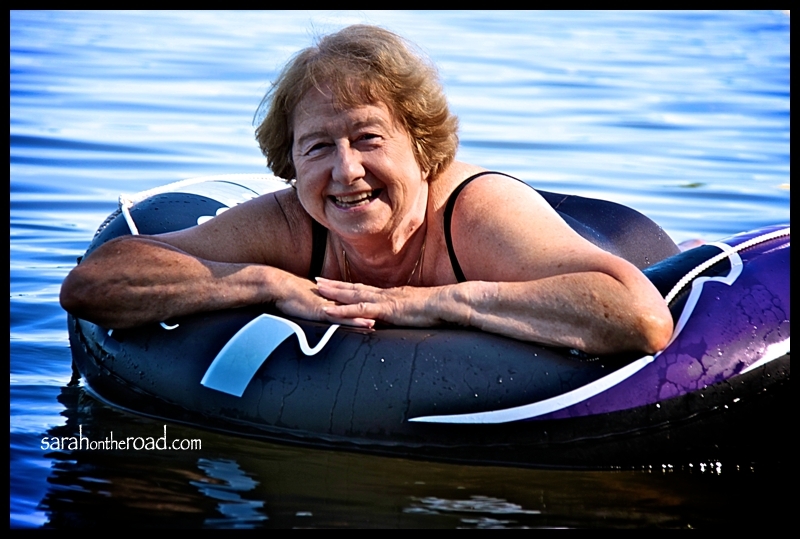 So glad I got to see you this summer at the cottage. Hope you are enjoying the last days of summer. Hope you have a fantastic day. 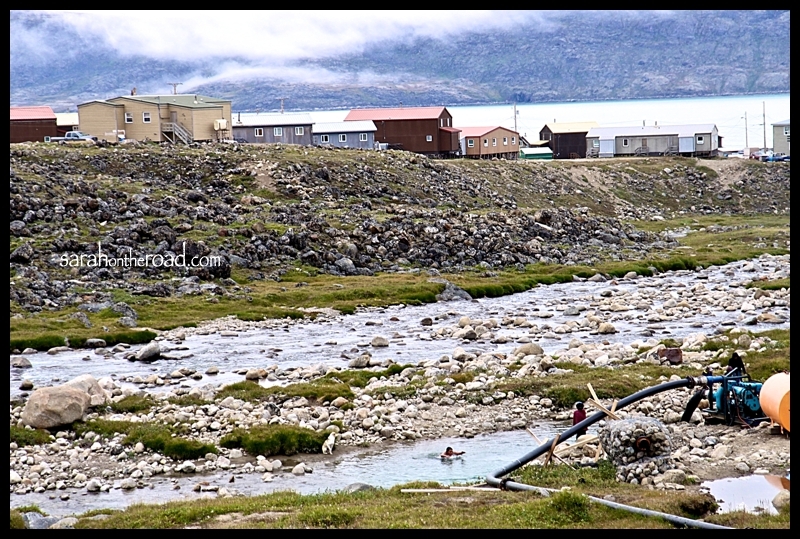 Sending you heaps of love from Pangnirtung, wishing I was there for your party! 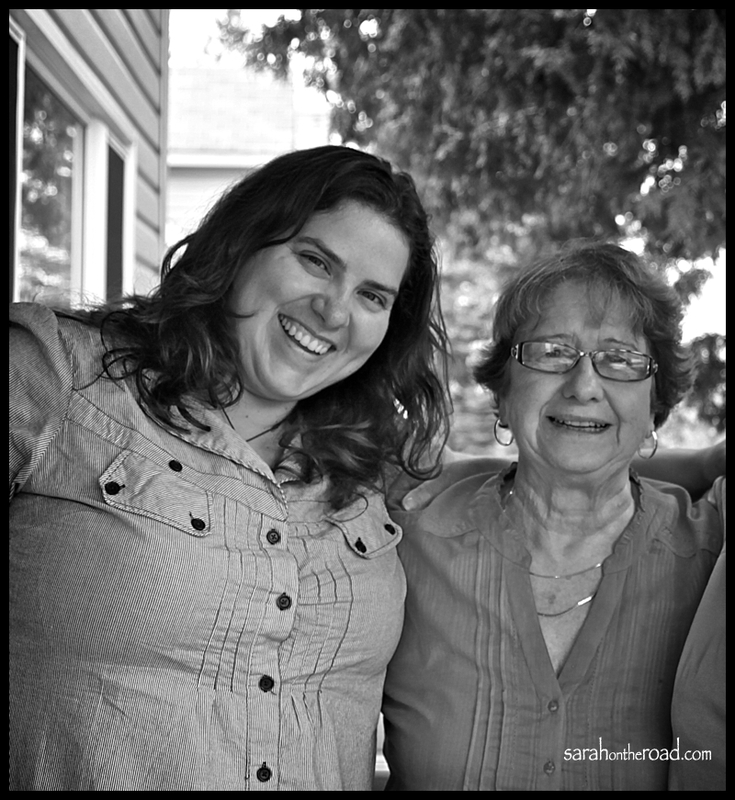 This entry was posted in Birthdays, Family on August 20, 2012 by Sarah on the Road.